A compact and clean-lined style, the Soho 3-Cushion Queen Sleeper Sofa by Lazar will add style, comfort and function to any room. Track arms and a recessed hard-back give the Soho a unique edge; while providing ease when delivering through tight doorways. The Soho is available in hundred of fabrics and leathers, and you can even select metal legs for a sleek modern look, or go transitional with wooden feet. 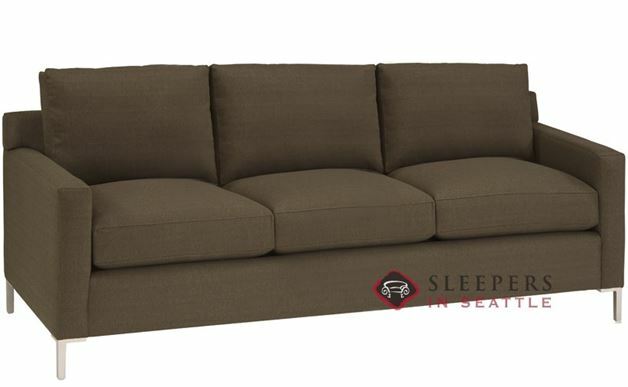 Needed to fit a queen size sleeper in the living room of my condo, and was looking for the right sofa for quite some time. Happy I found this Lazar. It's a nice compact build, and fits essentially exactly how I need it to. Not to mention it's pretty stylish. I'm not surprised it's one their top sellers as their customer service team told me over the phone. 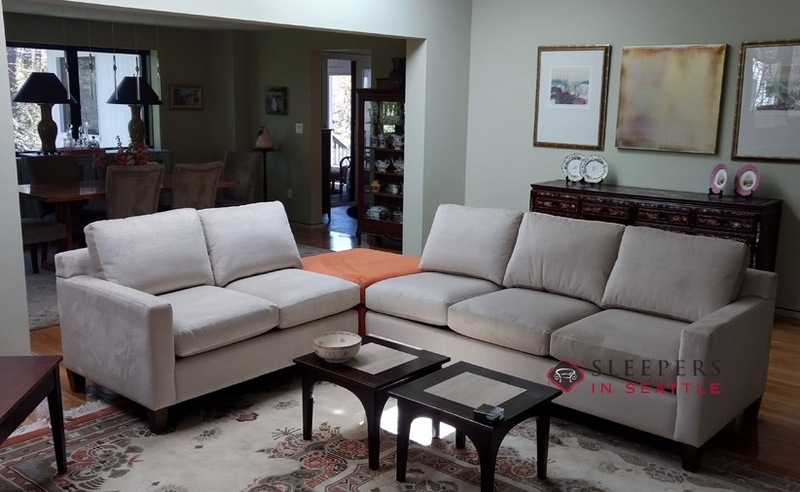 Really, everything about the sofa is just right, i only wish it would have been delivered a little quicker so I could have put it to use during the holidays. So gorgeous and comfortable! Thanks Sleepers! We've spent a few weeks with our new sofa, and I have to say, I'm liking it more and more each day. It's just such a handsome piece of furniture. I love the modern look it has, even though it's still super comfy. It's a perfect blend of comfort and style. 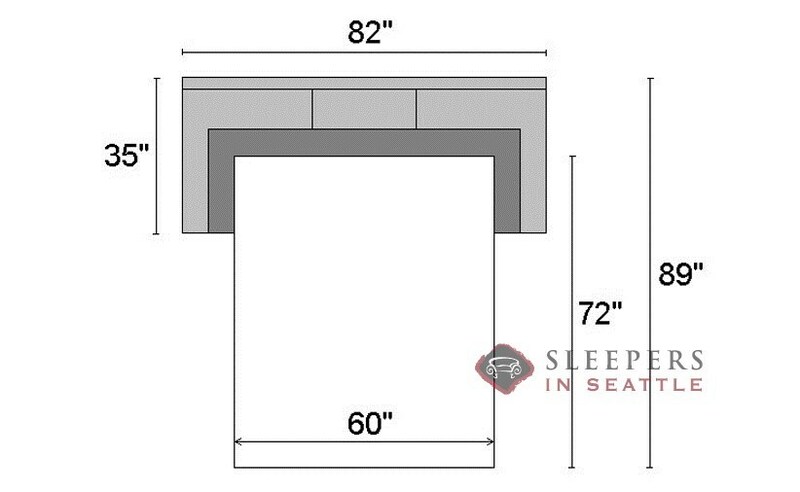 Are there back & seat cushion options &, if so, what are they? Yes! 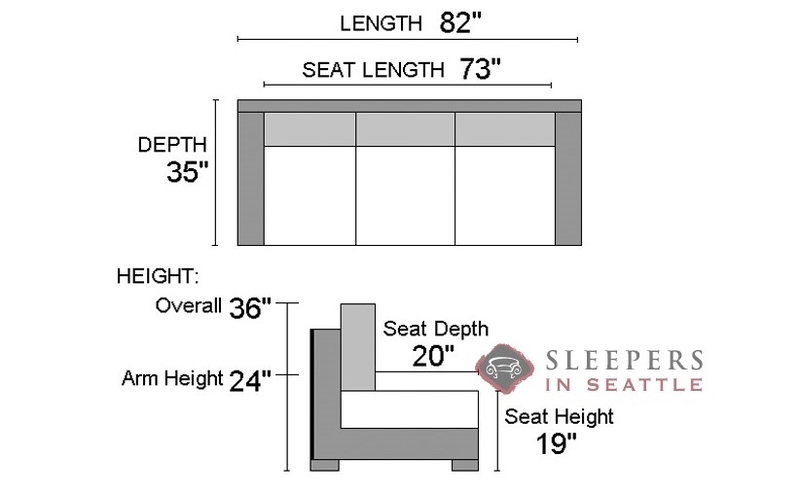 There are three back cushion options, and three seat cushion options--all of which can be seen in our Design Center, after clicking START CUSTOMIZING, above--and then in the Upgrades field. Do the feet come off for easier entry? I have a 30 inch door frame and am wobdering if it's possible to fit thia through. Yes, the feet come off the Soho very easily, in order to facilitate delivery through a tigher doorway. A 30" doorway will be no problem to deliver this Soho through.